It was the first secular intellectual gathering in decades in Gujarat. The spot was Dandi in Gujarat, where Mahatma Gandhi observed his famous Salt Satyagraha in 1930. Around 500 writers, artistes and activists from across the country gathered to unite and speak out against the rise of communalism in the country, and support Gandhian values. The day was January 30, when Gandhi was martyred. The speakers included Rajmohan Gandhi, writer and grandson of the Mahatma; Rakesh Shukla, leader of the recent agitation of the students of the Film and Televesion Institute of India, Pune; Chaman Lal, a left-wing scholar; and top documentary film maker Anand Parwardhan. Also present were Ria Vithasha and Muddu Thirthahalli, the teenaged writers who returned their Karnataka Sahitya Akademi award in protest against intolerance; Salil Tripathi, London-based writer with free speech forum PEN International; Atul Pethe, theatre director and actor; top artist Ghulam Mohammad Shaikh; and senior Gujarat-based Dalit rights activist Martin Macwan. The meet did not go without hiccups. The state BJP administration tried to create hurdles, sources said, as could be seen from the organizers being forced to postpone the participants’ march to the satyagraha site from early morning to mid-day. In fact, after the police stopped the writers while they were on way to Dandi, they met at the auditorium of Navsari Agriculture University. While the meeting was part of the project of Sarva Bhasha Samvad, a dialogue between writers of different languages, the speakers spoke about how it was necessary today to follow Gandhiji more than ever before, as he showed the way on how to fearlessly fight the British (Rajmohan Gandhi), and how the Hindutva forces, who were looked down upon by the Indian people in the 1940s, had grown to come to seize power, had seized power (Rajesh Shukla). 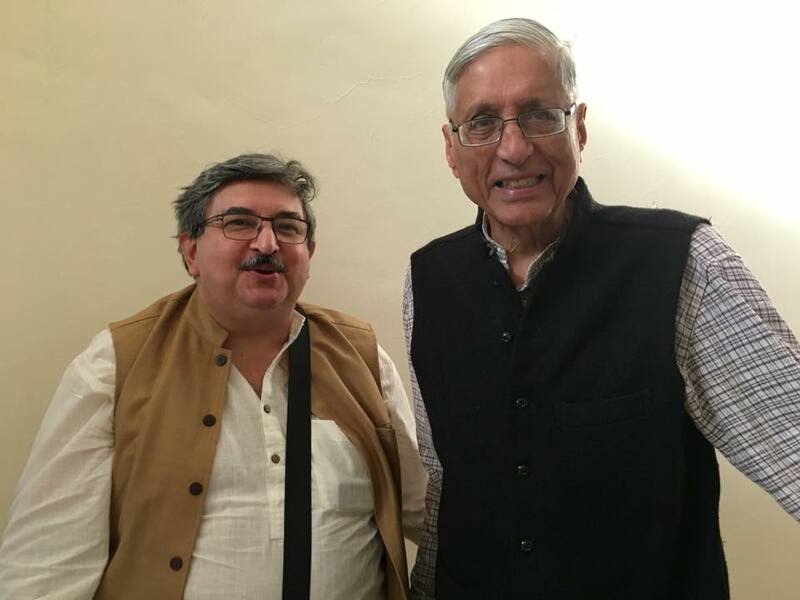 Leftist scholar Chaman Lal admitted that though “he totally disagreed with some ideas of Mahatma Gandhi, one worked with such extraordinary effort to work for peace and understanding”, and Anand Patwardhan traced the history of communal elements since the time of their links with the fascists in Europe in the thirties. Even as talking about Gandhiji's alt march, Martin Macwan recalled the importance Kalaram Temple entry satyagraha at Nashik, begun by Dr BR Ambedkar on the same day as the Salt Satyagraha. Macwan also spoke in detail about what led to young Dalit scholar Rohith Vemula's suicide and the rule of caste on the minds of Indian society. “Writers had come together, travelling at their own expense, without corporate sponsorship, speakers pointed towards how the recent Jaipur literary festival – which devoted to the theme of freedom of expression – failed to condemn the judicial trial to which Magsasay award winning writer Arundhati Roy, who had spoken out in defence of Prof GN Saibaba for the latter’s alleged Naxalite links”, Date said in a recent report. The participants – who included relatives of Narendra Dabholkar, Govind Pansare and MM Kalburgi who were killed for holding rationalist views – paid rich tributes to Rohith Vemula, the Dalit scholar of the University of Hyderabad, who committed suicide recently because of caste discrimination. Organised by well-known Gujarat-based linguist Ganesh Devy, a prominent academic who had returned his Sahitya Akademi Award, the march was the culmination of a movement against the atmosphere of intolerance prevailing in the country.